on the question of whether married people are happier attracted a lot of attention. In the very first hours after its publication, it garnered tens of thousands of views. To be honest, I did not expect that kind of response. Apparently, the institution of marriage is very powerful and sacred, but it does not fit everyone and many people wonder whether modern society offers other alternatives. Yet that post also inspired many to ask great questions about the research I cited and the interpretation given to it. I am grateful for these questions. In fact, I invite readers to ask more. Let's try to delve deeper into some of these issues. The first question I want to address is about the Dutch study that examined the impact of subjective and chronic health conditions on marriage. The authors of this longitudinal study, which examined 10,000 Dutch persons between the ages 15–74, showed that those who reported four or more subjective health complaints or two or more chronic conditions were respectively 1.5 and 2 times more likely to become divorced than persons without these health problems. Reader Nate Charles commented: "There is a flaw in the claim that the ONE study on the Dutch people speaks for all marriages about health problems and the likelihood that people are going to leave their marriage." It’s true that an argument that those who are not part of the “happily never married” story are more likely to find themselves out of the wedlock cannot be based on a single study. Lauren, another reader, made a similar comment: “Does [the] data support this [the fact that healthy spouses leave sickly spouses]? Or is there possibly another narrative?” These are great questions. We are so convinced of the strength of marriage and its power to shield us against all adversity that we need a lot of evidence to think otherwise. I do not want to depress anyone: Marriage could be great, and some people benefit immensely from being married. Personally, I have been fortunate enough to see a lot of happily married couples in my life. The only argument arising from the research on this topic is that we do not pay enough attention to those among us who are more vulnerable and are filtered out of the marriage institution. Therefore, statistics about marriage are much more complicated than we think. Only if understand that, we can truly accept and embrace those who choose otherwise or are forced to do so. 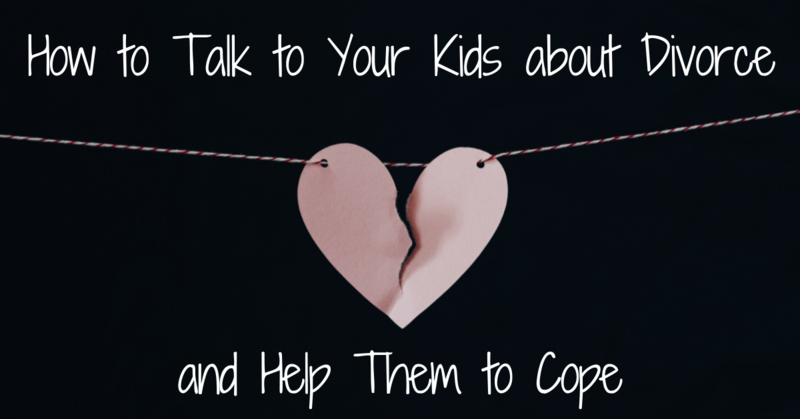 Want to Introduce a Parenting Marriage to Your Spouse? If the answer is finances, staying is easier, I didn't want to make the kids go between two homes, or, "I didn't know what else to do," there's a good likelihood that your spouse will be receptive to the Parenting Marriage concept. Indeed, as much as it might surprise some, the idea that marriage is good only as long as there is a fair tradeoff between the two partners has been thoroughly examined and was well-established decades ago. Of course, many couples stick with each other despite all difficulties. We are all raised and socialized this way. However, a more modest argument is put forth here: there is a greater likelihood for divorce when the anticipated gains from marriage decline, making the partner less “worthy”—as cruel as it may be. This hypothesis has been proven time and again, as I will show below. Divorce occurs when the combined benefit of separating exceeds the joint benefit of remaining married. Already in 1977, researchers suggested that earnings shocks have an effect on marital stability, but their research was cross-sectional and did not account for the quality of the marriage. Therefore, in 1997, Weiss and Willis used the National Longitudinal Study of the High School Class of 1972 to measure the effect of earnings shock over time for the same couples. They find that a decrease in a male’s earnings capacity increases the likelihood of divorce and vice versa. What about health issues? Following the 1977 and 1997 studies, another study was conducted in 2012 . The author of this study, Perry Singleton from Syracuse University, used the Survey of Income and Program Participation and matched it with administrative data on longitudinal earnings. The results show that the onset of a work-preventing disability correlates with an increased likelihood of divorce. The author also argues that the association between disability and divorce is greatest among young and educated males who experience a work-preventing, rather than a work-limiting, disability. This means that the greater the expected loss, the greater the likelihood for divorce. Another study found an interesting difference in results between earnings shock and disability. The authors of this study found that only job loss is associated with divorce (crossing the required threshold for statistical significance). But even in this study, the authors are suspicious of their findings. The authors suggest that the reason for this difference is that the social cost of divorcing a disabled spouse is greater than the social cost of divorcing a recently unemployed spouse. In other words, this means that people do not abandon their partner because they fear social criticism. Yet another study focused on a follow up of a small group of patients who were asked to retrospectively report on the effect of their burn injuries on their life. Of the 19 patients who were married at the time of their injury, 5 were divorced at the time of the study. The researchers went on to calculate the expected rate of divorce for a similar normal population during the same period of time and they found it to be 0.71 of 19. If this study is too small for you, I analyzed around 300,000 people, age 30 and above, from 31 European nations using the database of the European Social Survey (2002–2016) for my new book, Happy Singlehood: The Rising Acceptance and Celebration of Solo Living . In my research, I found that people with a disability are 42 percent more likely to be divorced than those without a disability and that the percentage of disabled people among the never-married is 6.3 percent compared with 3.1 percent among those married. Apparently, despite the expectation that marriage will act as an insurance policy during times of real need, this does not hold true for many disabled, unemployed, or vulnerable people. Those who need help are actually more likely to remain alone, or even to be left alone following a divorce. Here is the main point: it is no wonder that marriage seems to be so great, it is because the vulnerable ones are filtered out. They are filtered out either before marriage (many do not want to marry them) or after marriage (they are more likely to be divorced). Comparative studies that point to marriage’s positive outcomes are basically like saying, “Everything is great as long as everything is great.” It is logically flawed. In another post, I will delve into the solutions that singles use during times of real need. If marriage is not the ultimate safety net, do singles have alternatives? Apparently, they do, and this is increasingly true. But the main point here is to look at marriage soberly. Again, my writings are not against marriage, not at all; marriage is one great path for living a fulfilling life. We just need to look at the pros and cons of each option. 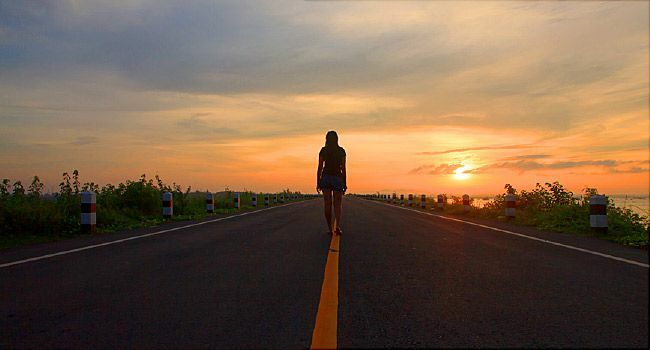 It is only by fully knowing each path that people who chose to go solo, those who lost their spouse, and those who picked any other route in life to be fully accepted. The unmarried should be embraced without being made to feel as though they are inferior or missing out anything.